If you're like most Americans, you've probably never heard of pangolins. Yet around the world, they are facing an unprecedented crisis. These small-to-medium sized African and Asian mammals are defined by their horny overlapping scales, a small head with an elongated snout, a long sticky tongue, and a thick tapering tail. Sought after for their meat and scales, which are believed to have medicinal properties in East Asia, pangolin populations are under immense pressure. 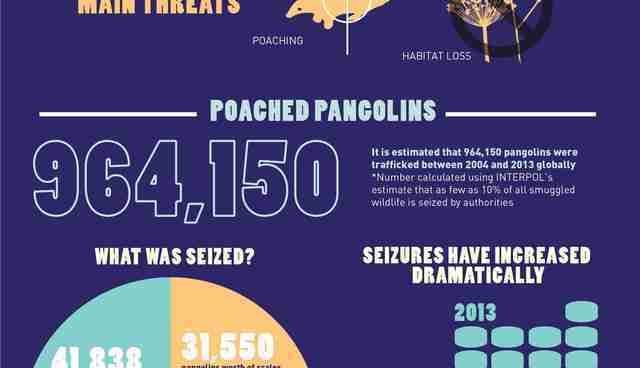 While most illegally sourced pangolins are sold in China and Vietnam, American demand also contributes to the crisis. In fact, more than 26,000 pangolin products were imported in the US between 2004 and 2013. To combat this crisis, the International Fund for Animal Welfare (IFAW), along with a coalition of partners, filed a petition with the US Fish and Wildlife Service to list all pangolins as Endangered under the Endangered Species Act. Currently only one of eight pangolin species is listed as Endangered under the Act: the African Temminck's ground pangolin. 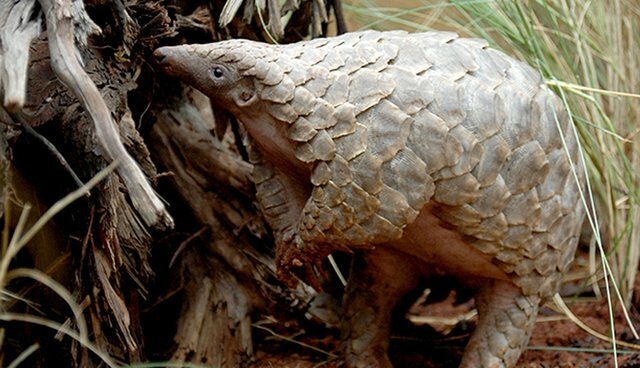 Expanding federal protection would prohibit the import and sale of pangolins and their parts in the US and raise global awareness about the pangolin's plight. In addition, the coalition filed a petition under the "Similarity of Appearance" provision of the Endangered Species Act. Essentially - since all pangolins closely resemble each other and law enforcement officials have difficulty distinguishing them - a successful Similarity of Appearance provision would elevate all pangolins' protection status to that of the Temminck's Ground species, effectively banning the trade and import of all pangolins in the United States. The pangolin's numbers are rapidly dwindling. An Endangered Species Act listing is an important and necessary step to end the US's role in declining pangolin populations and would set an example for the rest of the world. Until then, we remain complicit in this truly unique species' decline.